That Dallas Angguish is an impressively skilled writer is apparent after just the first page of his collection of short travel writing, America Divine (Phosphor Books). By the end of the first piece, “Shallow Water, Oh Mamma,” it is evident that he is not only a skilled writer but something of a strange genius. One wonders why we haven’t heard of him before now. No doubt, he is another of those very gifted persons who, in the age of Twilight and Eat, Drink, Pray, Love is overlooked for lesser writers. His gift for description is unusual in its clarity, his impeccable ear for dialogue is even rarer and his sentences are delectably well-wrought. And he’s also funny and easy to read. America Divine is a collection of travel stories set in the Deep South of the USA, particularly New Orleans. The stories feature effeminate voodoo practitioners, psychics, bisexual snake-handlers, con artists, ghosts and boozy Savannah landladies. 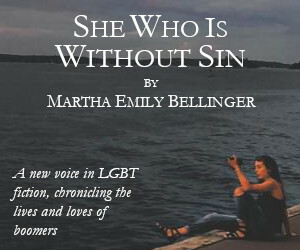 Although many of the characters of the book are gay, bisexual or lesbian (there’s even an intersex person) these travel tales should not be pigeon-holed as gay literature because, although many LGBT readers will certainly enjoy them, they deserve a wider readership. The pieces are quirky, engaging and often satisfyingly sensual on a number of levels. In essence, America Divine explores the stranger side of Southern folk religion such as voodoo, Southern Hoodoo and that peculiar form of American Christianity that favours the laying on of hands, speaking in tongues, snake-handing and miracles. The first third of the book is set in New Orleans and the rest in other locations in the South, including Savannah Georgia and the Okefenokee Swamp. Angguish describes the people, places and spiritual practices of the South in a way that a local observer might not be able to. As a visitor, he sees the unique and strange in things that, to many Southerners, are merely everyday practices and beliefs. Sometimes it takes an outsider to see a place as it really is. The result of this outsider’s experience of the Deep South is an intriguing, unusual and often poignant work that also happens to be a gratifying read. America Divine takes us to places many of us would never dare to go in real life, such as the wild Okefenokee Swamp and unapologetically “redneck” hamlets in Alabama and Georgia. The writing shows an affection for the South combined with disquiet about the South’s unpleasant history and sometimes troubled present. As a gay man, Angguish could find much in the South to dislike. However, rather than preach about the South’s well-advertised faults, he presents a South that is as culturally and spiritually rich as it is troubled. If you like travel writing with a difference, then this book is for you. 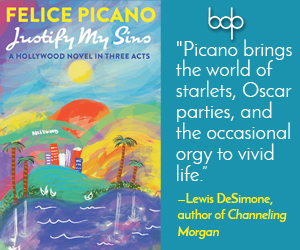 If you like Tennessee Williams or Carson McCullers, then you will certainly like America Divine for it has much in common, in terms of themes and settings, with those writers’ works. 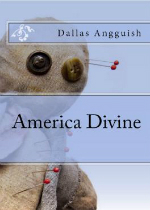 If you are a fan of Truman Capote, then you will love America Divine because Dallas Angguish is arguably Capote’s literary heir. More than anything, America Divine is very good writing and very good reading. Ben Mason is a freelance book and film reviewer. His particular interests are in travel writing and memoir. He has reviewed for a number of publications including Queesnlad Pride and Qnet.